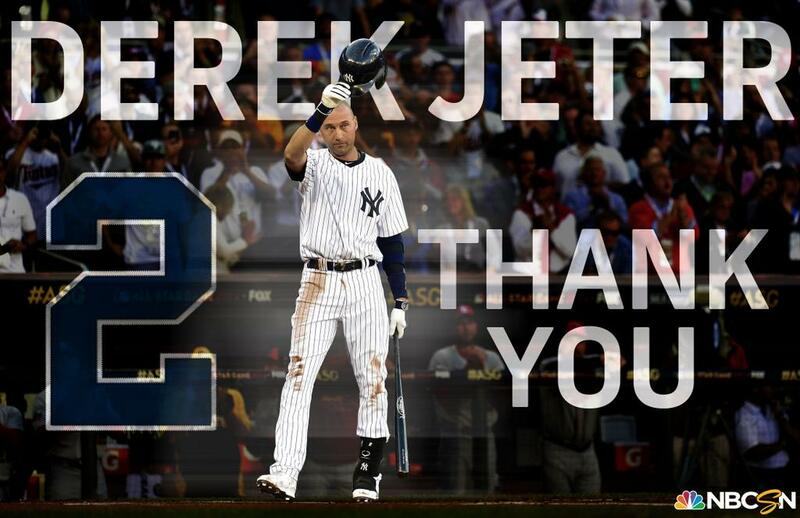 Yesterday Derek Jeter stepped off the field one last time. Some people are calling him the greatest Yankee ever, while others are arguing that some of the older players (Ruth, Gehrig, Mantle) would rank ahead of him. But one thing is certain. For anyone younger than around 40 years old, Derek Jeter is the man who helped bring Championships to the New York Yankees. Yes, he was never the strongest Yankee in any specific year…someone almost always hit more (or better) than him (except when he lead the league of course), but he was consistent. And his consistency is why we came to love him, and why the league gave him the farewell it did. When the game was on the line, there is no other player you’d rather have at the plate, then Derek Jeter. So thank you Derek Jeter for allowing me to see my baseball team win 5 championships. Others may hate all they want, but no other baseball team has had that success in my lifetime, and I am proud to be a Yankees fan.